From The Orthodox Word, Vol. 12, no. 1 (66), 1976. Introduction by the Editors of The Orthodox Word to His "Thyateira Confession"
Among the Primates of the Orthodox Churches today, there is only one from whom is always expected—and not only by members of his own Church, but by very many in a number of other Orthodox Churches as well—the clear voice of Orthodox righteousness and truth and conscience, untainted by political considerations or calculations of any kind. The voice of Metropolitan Philaret of New York, Chief Hierarch of the Russian Church Outside of Russia, is the only fully Orthodox voice among all the Orthodox primates. In this he is like to the Holy Fathers of ancient times, who placed purity of Orthodoxy above all else, and he stands in the midst of today's confused religious world as a solitary champion of Orthodoxy in the spirit of the Ecumenical Councils. The chief heresy of our age, ecumenism, against which the voice of Metr. Philaret has been directed, is by no means an easy one to define or combat. In its "pure" form—the declaration that the Church of Christ does not exist in fact but is only now being formed—it is preached by very few among those who call themselves Orthodox. Most often it is manifested by anti-canonical acts, especially of communion in prayer with heretics, which reveal the absence of an awareness of what the Church of Christ is and what it means to belong to her. But no one anti-canonical act in itself is sufficient to define a heresy; and therefore it is the greatness of Metr. Philaret at this critical hour of the Church's history that, without insisting pharisaically on any one letter of the Church's law, and without twisting to the slightest degree the words of any ecumenist hierarch in order to "prove" he's a heretic, he has grasped the heretical, anti-Orthodox spirit behind all the ecumenist acts and pronouncements of our day and boldly warned the Orthodox hierarchs and flock about the present danger of them and their future ruinous outcome. It is most unfortunate that too few Orthodox Christians today have as yet grasped the full import of his message to the Orthodox Churches—a lack of understanding that has come both from the "left" side and from the "right." On the "left" side Metr. Philaret is senselessly regarded as a "fanatic" and is accused of a number of extreme views which he has never expressed or held. His voice of true Orthodox moderation and sobriety is reviled and slandered by those—one must strongly suspect—whose conscience, weakened by compromise and openness to modernist renovationism, is not clean. To such ones the bold voice of Metr. Philaret ruins the harmony and accord; by which most of the other Orthodox Churches are proceeding to their dreamed-of "Eighth Ecumenical Council," at which renovationism will become the "canonical" norm and the Unia with Rome and the other Western heresies will become the official "Orthodox" position. But no less on the "right" side is the position of Metr. Philaret misunderstood and even condemned. There are those who, in their "zeal not according to knowledge" (Rom. 10:2), wish to make everything absolutely "simple" and "black or white." They would wish him and his Synod to declare invalid the Mysteries of new calendarists or Communist-dominated Churches, not realizing that it is not the business of the Synod to make decrees on such a sensitive and complex question, and that the church disturbances of our time are far too deep and complicated to be solved solely by breaking communion or applying anathemas, which—save in the few specific instances where they might be applicable—only make the church disturbances worse. Some few even think to solve the tragic situation of Orthodoxy today with the declaration, "We are the only pure ones left," and then abuse those who take a stand of true Orthodox moderation with a most un-Orthodox mechanistic logic ("If they have grace, why don't you join them or receive communion from them?"). At various times the Russian Church Outside of Russia has avoided or discouraged communion with several other Orthodox bodies, and with one in particular (the Moscow Patriarchate) it has no communion at all, on grounds of principle; and separate hierarchs have warned against contact with the "modernist" bodies; but this is not because of any legalistic definition of the lack of grace-giving Sacraments in such bodies, but because of pastoral considerations which are respected and obeyed by all true sons of the Church without any need for a merely "logical" justification. The Orthodox stand of Metropolitan Philaret is rooted in his experience from childhood of the age-old Orthodox way of life. His family was devout; his father (Archbishop Dimitry) knew St. John of Kronstadt and in the Diaspora was a hierarch in the Far East. In his formative years in the Far East, Metr. Philaret was in contact with holy men: Bishop Jonah, a wonderworker and disciple of Optina Elder Barsanuphius; the clairvoyant elders of the Kazan Monastery in Harbin, Michael and Ignatius (the latter of whom he buried); Abbess Rufina, whose convent was transformed by its numerous miraculously-renewed icons; and he had clearly before him the example of a number of holy hierarchs, including Metropolitan Innocent of Peking, champion of the Old Calendar, the wonderworking bishops of Shanghai, Simon and John (Maximovitch), and Metropolitan Meletius of Harbin. 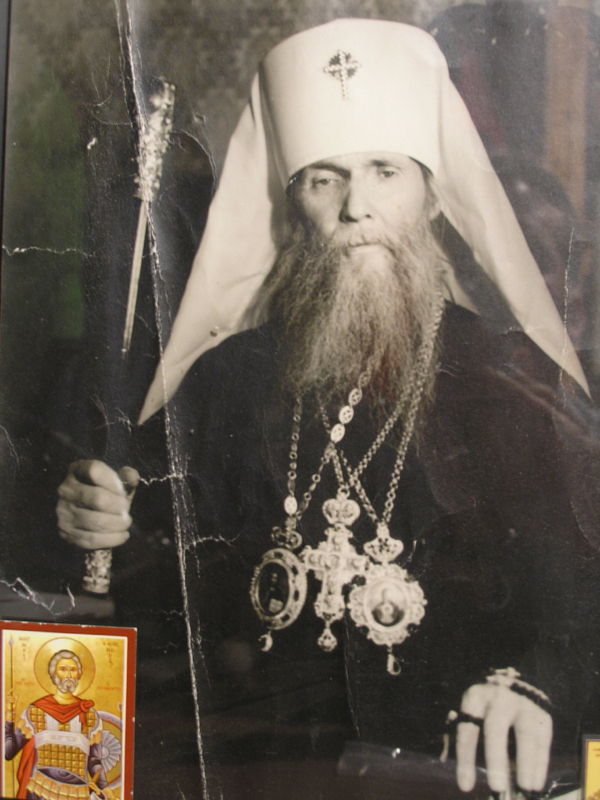 His love for holy men and champions of Orthodoxy in the past is evident in the fact that he took a leading part in the publication of the Lives of "Standers for Orthodox Faith" such as Elders Ambrose and Macarius of Optina, writing in addition an excellent introduction to the Life of Elder Ambrose. In all this, and in his uncompromising stand for true Orthodoxy, he is very like his namesake in 19th-century Russia, Metropolitan Philaret of Moscow, the champion of Patristic Orthodoxy against the anti-Orthodox influences coming from the West, and the protector of Optina Monastery and its elders. For over ten years now the voice of Metropolitan Philaret has resounded unwearyingly in a succession of letters of protest and warning to Orthodox hierarchs, particularly of the Patriarchate of Constantinople, and in two "Sorrowful Epistles" addressed to the world-wide Orthodox episcopate. The present letter ["The Thyateira Confession"] is a kind of third sorrowful epistle to all the Orthodox bishops, occasioned by the first Orthodox-ecumenist "confession," which makes much more definite the errors which had been perhaps only "tendencies" up to now. It should be noted that, despite the shocking lack of response by Orthodox hierarchs to his earlier "Sorrowful Epistles," the present epistle is still addressed to "the Orthodox hierarchs," "the hierarchs of God," letting them know that it is the least of their brothers who is addressing them, not in order to call them names or make a public spectacle of them, but in order to call them back to Orthodoxy before they have departed from it entirely, without any hope of return. It should also be noted that there is no trace whatever of the lightmindedness and mockery which mar some of the otherwise welcome anti-ecumenist writings of our day, especially in the English language. This is a document of the utmost seriousness, a humble yet firm entreaty to abandon a ruinous path of error, a document whose solemn tone exactly matches the gravity of its content, proceeding from the age-old wisdom and experience of Patristic Orthodoxy in standing in the truth and opposing error. May it be read and its message heeded! Лишь отъ одного изъ всехъ православныхъ первосвятителей нашего времени ожидаютъ верующiе — причемъ не только его, но и другихъ Поместныхъ церквей — неизменно яснаго голоса правды, голоса ничемъ не замутненной православной совести. Кроме него, нетъ среди нихъ голоса, который можно было бы назвать безусловно православным, свободнымъ отъ политики или иныхъ постороннихъ соображенiй. Это голосъ Владыки Филарета, Первоiерарха Русской Зарубежной Церкви. Подобно св. Отцамъ древности, онъ выше всего ставитъ чистоту Православiя и, верный духу Вселенскихъ Соборовъ, остается посреди всеобщей религiозной растерянности одиноким защитником истины. Защищать ее приходится отъ экуменизма, главной ереси нашихъ дней. Экуменизмъ трудно поддается определенiю; бороться же съ нимъ еще труднее. Мало кто изъ числящихъ себя православными проповёдуетъ экуменизмъ "въ чистомъ виде" — ученiе о том, что Христова Церковь не существуетъ какъ таковая, а только сейчасъ формируется. Чаще всего экуменизмъ проявляется въ противозаконныхъ поступкахъ, особенно въ молитвенномъ общенiи съ инославными: это значитъ, утрачено понятiе о томъ, что такое Христова Церковь и в чемъ состоитъ ей верность. Однако поступки сами по себе не могутъ служить определениемъ ереси; великая заслуга владыки Филарета на этомъ критическомъ этапе исторiи Церкви состоитъ именно въ томъ, что онъ, безъ намека на фарисейское обожествленiе той или иной буквы церковнаго закона, и безъ малёйшей склонности къ выцеживанiю "доказательствъ ереси" изъ высказыванiй епископовъ-экуменистовъ, со всей ясностью обнаружилъ тот самый еретическiй, анти-православный духъ, который стоитъ за современнымъ экуменизмзмъ во всехъ его проявленiяхъ и предупредилъ, какую опасность они несутъ сегодня и какую катастрофу готовятъ въ будущемъ. Однако, къ величайшему сожаленiю, лишь немногiе изъ православнаго духовенства и мiрянъ вполне осознали серьезность предупрежденiя владыки Филарета. Его не понимаютъ какъ "левые", такъ и "правые". "Слева" его безосновательно обвиняют въ экстремизме, приписываютъ ему совершенно чуждые фанатические взгляды. Его умеренная и трезвая православная позицiя вызываетъ злобные нападки у техъ, чья совесть — как приходится допустить — нечиста, подточена сделками съ обновленчествомъ. Для такихъ голосъ владыки Филарета — серьезная угроза: онъ разрушаетъ ихъ планы и мечты о "Восьмомъ Вселенскомъ Соборе", когда обновленчество станетъ "канонической нормой", а уния с Ватиканом и прочими западными ересями получитъ "оффицiальный православный статусъ". Но и "справа" владыку Филарета многiе не понимают и даже осуждаютъ. Сплошь и рядомъ "ревность не по разуму" требуетъ простыхъ и однозначныхъ ответовъ на сложные, многогранные вопросы. Те, кто добивается отъ митрополита и Архiерейскаго Синода сужденiй о "безблагодатности Таинствъ" православныхъ церквей, перешедшихъ на новый стиль или попавшихъ подъ пяту коммунистической власти, не отдаютъ себе отчета въ томъ, что подобные вопросы лежатъ вне пределов компетенции Синода, что церковнымъ нестроенiямъ нашего времени такимъ способомъ не поможешь — слишком оне обширны и глубоки, что анафемы — кроме несколькихъ безспорныхъ случаевъ — только усугубляютъ болезнь. Есть и такiе, кто ждетъ решенiя всехъ проблемъ отъ оффицiальнаго заявленiя вроде такого: "Кроме насъ, настоящихъ православныхъ не осталось", — и нападаетъ на техъ, кто держится умеренной линiи, съ позицiй совершенно неправославнаго формализма, что-де если "у них" есть благодать, то почему тогда мы с "ними" не объединяемся? Русская Зарубежная Церковь неоднократно предостерегала и удерживала своихъ членовъ отъ общенiя съ нёкоторыми православными группами, а съ Московской Патрiархiей принципiально не имеетъ общенiя; также и другiе православные епископы предостерегаютъ отъ контактовъ съ теми, кто склоняется къ обновленчеству, — но отнюдь не по какому-то формальному критерiю якобы отсутствующихъ у нихъ благодатныхъ Таинствъ, а лишь по соображенiямъ заботы о верующихъ, которые принимают ихъ изъ уваженiя и послушанiя, безъ малейшей нужды въ чисто-формальныхъ доводахъ. Въ основанiи позицiи владыки Филарета — весь его православный жизненный опытъ. Онъ происходитъ изъ благочестивой семьи; его отецъ въ молодости зналъ прав. Iоанна Кронштадтскаго, а впоследствiи сталъ извёстенъ въ русскомъ разсеянiи какъ архiепископъ Димитрiй Хайларскiй. Въ молодые годы на Дальнемъ Востоке пути будущаго митрополита пересекались съ такими людьми, какъ чудотворецъ и ученикъ преп. Варсонофiя Оптинскаго св. Iона Ханькоускiй (прославленъ въ 1996 г. ), какъ ясновидящiе старцы Казанскаго монастыря въ Харбине Михаилъ и Игнатiй (второго изъ которыхъ онъ погребалъ), какъ игуменiя Руфина, чей монастырь сталъ известенъ многими чудесно обновившимися иконами, какъ защитникъ церковнаго календаря (стараго стиля) митрополитъ Иннокентiй Пекинскiй, какъ шанхайскiе епископы-чудотворцы Симонъ и св. Iоаннъ (Максимовичъ) и митрополитъ Мелетiй Харбинскiй. Его любовь къ святымъ хранителямъ и защитникамъ веры видна хотя бы изъ его ведущей роли въ публикацiи Житiй столповъ Православiя — какъ преп. Амвросiя и Макарiя Оптинскихъ, къ первой изъ которыхъ онъ къ тому же написалъ превосходное предисловiе. Во всемъ этомъ, и в своей безкомпромиссной верности истинному Православiю, онъ подобенъ своему тезке прошлаго века св. Филарету, митрополиту Московскому, защитнику свято-отеческой веры отъ анти-православныхъ западныхъ влiянiй, покровителю Оптиной Пустыни и ея преп. Старцев. Вотъ уже более десяти летъ неустанно звучитъ голосъ владыки Филарета въ письмахъ протеста, въ предостереженiяхъ первосвятителямъ, особенно Константинопольскому патрiархату, и въ двухъ "Скорбныхъ Посланiяхъ", адресованныхъ православному епископству всего мiра. Последнее его письмо можно разсматривать какъ еще одно Скорбное Посланiе православнымъ епископамъ по поводу перваго православно-экуменическаго "исповеданiя", въ которомъ прежнiя ошибочные тенденцiи вылились уже въ явныя ошибки. Сколъ это ни горько, на его Скорбныя Посланiя такъ никто ответа не далъ; и темъ не менее онъ снова обращается "къ православнымъ епископамъ, къ архiереямъ Божiимъ" какъ наименьшiй изъ ихъ братьевъ. Онъ не обзываетъ ихъ дурными прозвищами, не позоритъ ихъ передъ людьми; онъ только зоветъ ихъ назадъ къ Православiю, — пока они еще отъ него не совсемъ оторвались, пока еще не поздно, пока еще есть надежда. Нетъ въ его письме ни тени легкомыслiя или насмешки — какъ это къ сожаленiю бываетъ даже въ хорошихъ анти-экуменическихъ сочиненiяхъ, особенно по-англiйски. Это документъ стопроцентно серьезный, смиренный, но твердый призывъ сойти съ погибельнаго пути заблужденiя, своей формой точно отвечающiй важности содержанiя, восходящiй къ вековой мудрости и опыту святоотеческаго Православiя въ защите правды и противостоянiи неправде. Да будетъ онъ услышанъ и принятъ къ исполненiю!